Mu Cang Chai is a tourist spot in the North of Vietnam. The distance from Hanoi to Mu Cang Chai - Yen Bai is about 320 km which takes you about 8 hours riding with amazing moutain view on it's way. Nowadays people are too used to Sapa because it is too much crowded, touristy, not as authentic as it was before. But Mu Cang Chai is like a new discoverred place with not only local people but also foreigners more and more. So if you are planing to travel to Mu Cang Chai, you should do it as soon as possible before it is too much popular and commercial as other places in Vietnam. - Bus type: Sleeping bus/seating bus. 9.00 9.30 am: At My Dinh bus station, bus staff/ driver picks you up from the car/ taxi & take you to the big bus to Mu Cang Chai. 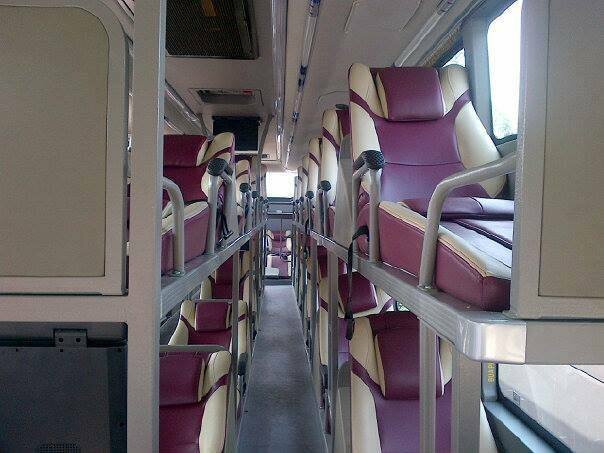 You might change to a seating bus one time in Nghia Lo town. 18.00: Arrive in Mu Cang Chai Town, get dropped off in Mu Cang Chai. Included: English speaking guide only picks you up from your hotel, taxi/ car to bus station, bus ticket(s) to Mu Cang Chai. 17.00 - 17.30: At My Dinh bus station, bus staff/ driver picks you up from the car/ taxi & take you to the big bus to Mu Cang Chai. Have some stops on the way. 2.00 am: Arrive in Mu Cang Chai Town, get dropped off in Mu Cang Chai. 19.00 - 19.30: At My Dinh bus station, get on bus to Mu Cang Chai. Have some stops on the way. 3.00 am: Arrive in Mu Cang Chai town, get dropped off in Mu Cang Chai town or in front of Moon guest house. Included: English speaking guide, bus ticket to Mu Cang Chai. Hanoi Oldquarter – My Dinh bus station – Son Tay city – Phu Tho province – Van Chan town(shortbreak) – Nghia Lo city – Mu Cang Chai (last stop). 21.20 - 21.50: Our guide and car picks you up at the hotel in the Mu Cang Chai town then takes about 8 hours to My Dinh bus station. 5.00: Arrive at My Dinh bus station (last stop). 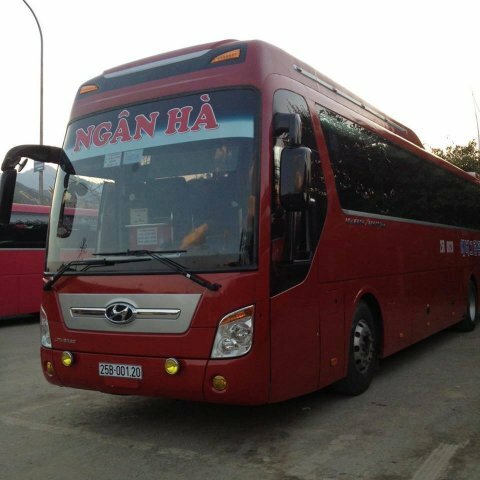 Included: Bus ticket from Mu Cang Chai to Hanoi. 5.30 am: Arrive at My Dinh bus station (last stop). Hotel or homestay in Mu Cang Chai town – Nghia Lo city – Van Chan (shortbreak) – Phu tho province – Son Tay city – My Dinh bus station (last stop). Thanh Cong Taxi: 043257575, Mai Linh Taxi: 0438333333, Thanh Nga Taxi: 0438215215. You can rent motorbike in any travel agencies in Hanoi to slowly driving to Yen Bai city then Mu Cang Cahi and back . For a good quality for mountain roads motorbike, it costs about 10 USD per day which can be for 2 people sit on. You should drive slowly to enjoy landscapes and stop for photos shooting on the way. Therefore you should have a stop overnight somewhere on your way. !!! Warning: You should be carefully before renting because roads to Yen Bai are very dangerous with high passes, uphills way, specially in the dense fog. You can book and join a tourist bus from companies who organise tours to Mu Cang Chai but it really depends. Because tour from Hanoi to Mu Cang Chai only departure on a fixed day in month. Therefore, sometimes you can book - sometimes you can not. And it can be cancelled in a short advance when they cant collect enough customers to make their tour run. - During festivals time in Vietnam (Independence holiday, King ceremony holiday, New Year holiday...), local people often plan their holiday in advance. Bus tickets to Cao Bang mostly fully booked very soon. Therefore it is difficult for you to purchase ticket by yourself if you have a narrow plan. - Our bus stops at Moon hostel in Mu Cang Chai town, you can also easy to find hotels around here. - At Pac Ngoi you can rent a motobike or bike to discover Babe village , if you carry them with you you pay extra 22$. You can easily find motorbike shops in this small town to rent. It costs you the same as in Hanoi, 7 USD per day (150.000 VND). Driving motorbike to visit different villages is the best way to discover Mu Cang Chai. You can also contact this man to have a good offer: Mr Tuyen: 0166 5684574. Mu Cang Chai itself is a beautiful place all year long, but the best time to travel to Mu Cang Chai is in Summer and Autumn (From April to October). Because you can see this view very clear from the pass hill, and you also can enjoy the best swimming time on spring. You should avoid weekends because it is time for vietnamese traveller… All services here will be overcharged and the quality of them are not as good as week days. 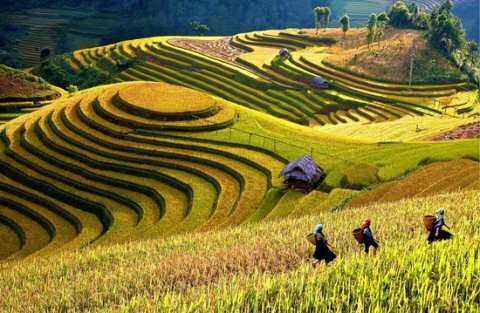 Mu Cang Chai - Yen Bai nowadays is very famous with travellers, photographers, artists cause of rice terraces, high mountains, ocean of cloud, fresh and cool climate, rich traditioanl culture of Thai and Mong Ethnic Minorities people... 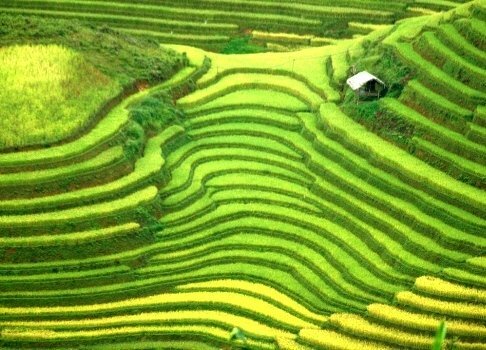 If you have chance to visit Mu Cang Chai before harvesting about 20-30 days (It should be in the end of May or begining of June and the end of August or the end of September), you will not feel like wanna leave this place for sure. Lim Mong is a small village you can see it from Khau Pha pass on the way to Mu Cang Chai. This poor Thai village is attacted you by authentic traditional culture as well as the view on the way to get there. It is really a breathtaking view you have ever seen in life time. This waterfall in between Na Hang A and Na Hang B mountains which is in Mo De commune, Mu Cang Chai district. To get here, you have to walk about 30 minutes from national road 32 to reach the root of moutains, then take a boat/ raft trip to get closer of Mo waterfall. Enjoy sitting ơn small boat, play with fresh water after long walking and Thác Mơ (Vietnamese name) is right in front of you like a silk waterfall. 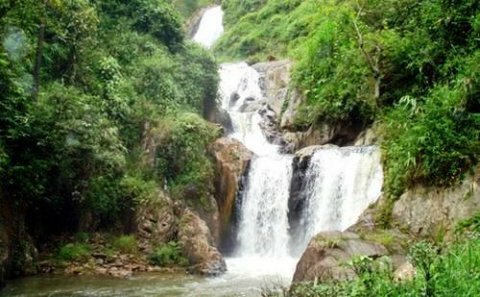 Pu Nhu waterfall is located in Pu Nhu village, La Pan Tan commune, Mu Cang Chai district which is about 10 km to the West of Mu Cang Chai town. This waterfall is from different rivers flow from Lao Cai, Son La. Pu Nhu waterfall is about 20m height , devided into many steps. 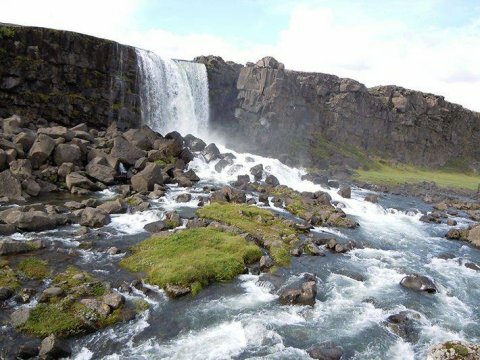 This waterfall actually is not far from the national road 32 (only about 1.5km), but it is not easy to see from main street. To get here, you only need to have an easy walk through small stream and a corn field. The temperature highest in a year here is 26 degrees, therefore it is great place for a cool adventure.